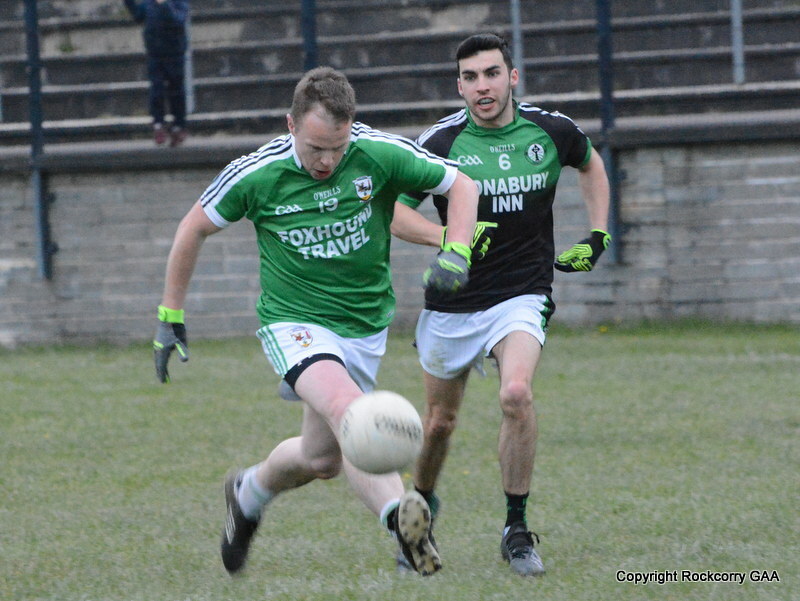 The waiting is finally over ladies and gentlemen because this Friday 14th June all roads lead to Aughnamullen for the opening match of this year’s Gormley uPVC Senior Football Championship. 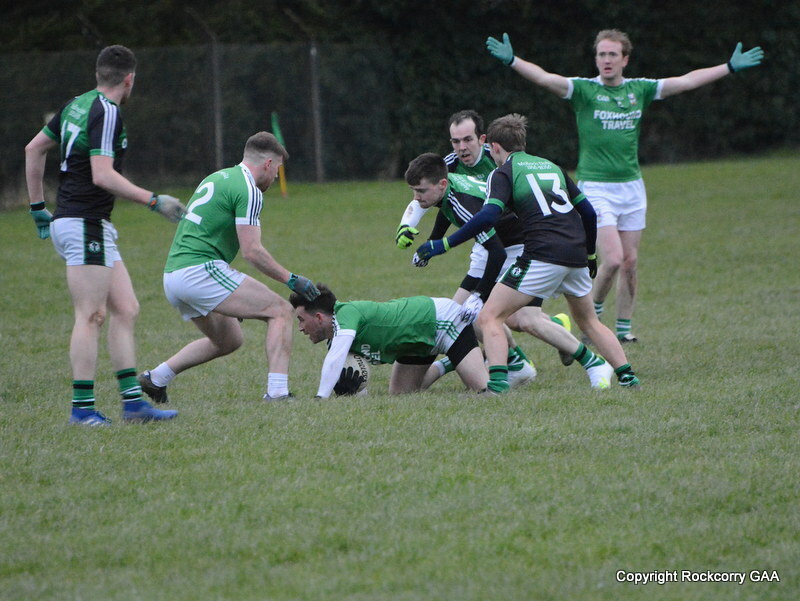 Just in case you missed it or you may have been away on the planet Mars our senior team will face off against, the reigning county champions and competition favourites, Ballybay in the preliminary round of the competition. This is going to be a mammoth task and is certainly billed as a “David v Goliath” encounter but I truly believe that it is not how big you are, it’s how big you play. The lads have the football ability and the team spirit to go out and put in a performance and on behalf of the committee I would like to wish Jim, Cormac and the team all the best. The game has a throw-in time of 8pm and I know it’s a cliché but I would appeal to all our members and supporters to go along and cheer on the lads for this game and be that extra man and with the effort of everyone involved, who knows what might happen…after all it’s a funny old game! 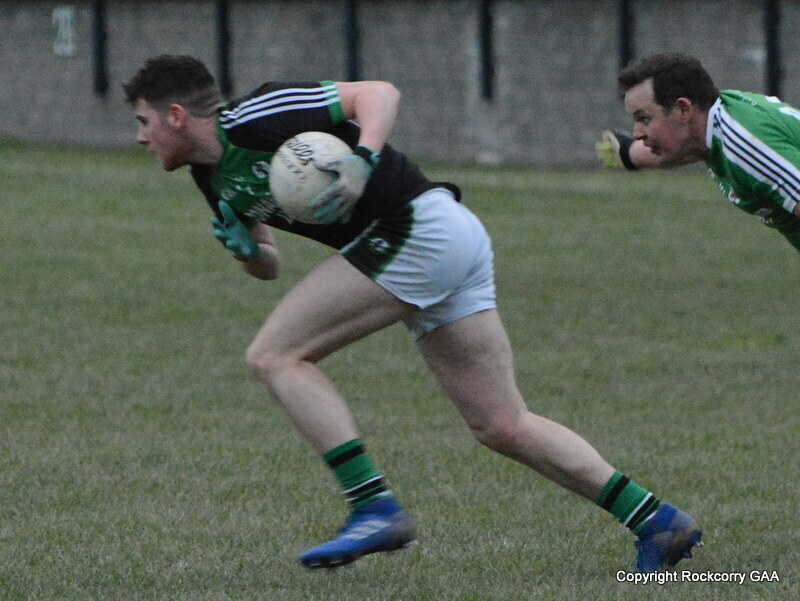 On Wednesday 19th June the reserve footballers will be back in action with a home game against Sean McDermott’s and the match has a throw-in time of 8pm. Our under 12 footballers returned to action last Saturday 8th June when they travelled to play Fergal O’Hanlon’s in what was their second outing in the Gerry’s Prepared Veg Division 2B league campaign. The first half was evenly contested with both sides displaying some wonderful skills and while we battled hard to put some well-worked scores on the board we found ourselves behind by 1-8 to 1-4 at the midway stage. The boys and girls continued to give it their best and they put in a terrific performance but in truth were muscled out against a much more stronger and competent Fergal O’Hanlons side who gained the upper hand during the second period and secured the victory on a score-line 6-15 to 4-6. 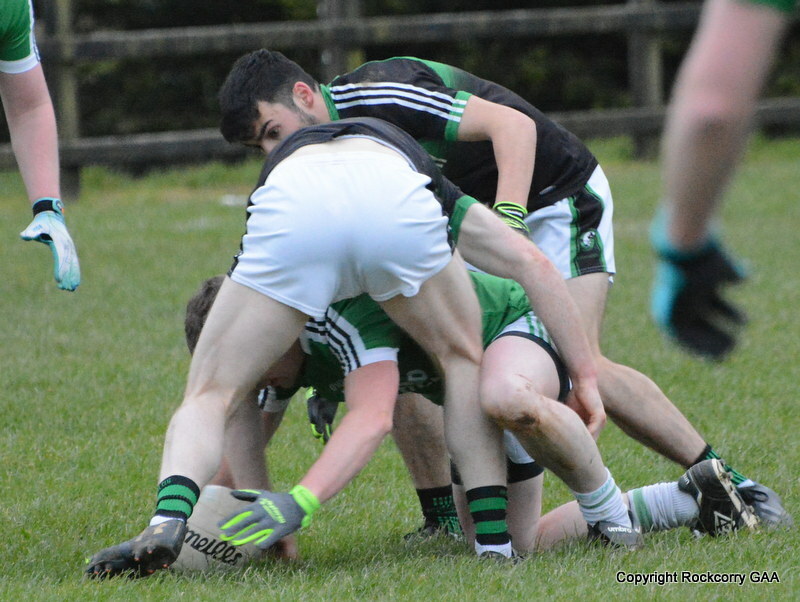 Their next game is on Saturday 29th June when they play Cremartin at Naomh Pairc Mhuire at 12 noon. The under 14 team have a bye this Saturday 15th June so their next game in the league campaign will be on Saturday 29th June when they travel to play Tyholland. 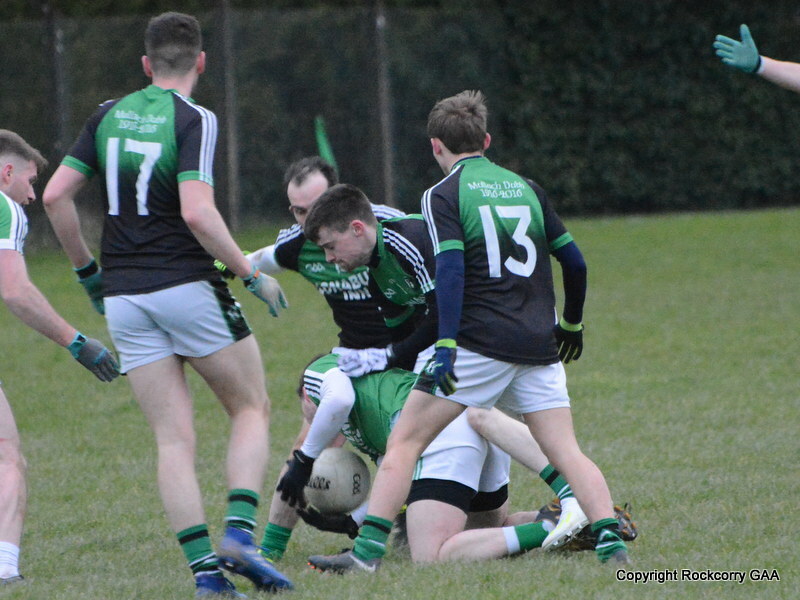 With exams taking centre stage for the next couple of weeks the next match for the under 16 footballers is on Thursday 20th June, when they travel to play an Aghabog / Currin amalgamation. The game has a throw-in time of 7.30pm. The Kelloggs GAA Cul Camps get up and running. It provides camps for boys and girls between the ages of 6 and 13 with an action packed and fun filled week of activity during the summer holidays which revolves around enjoyment and involvement in GAA games. For your information it takes place in Ballybay during Monday 22nd July to Friday 26th July or alternatively in Latton between Monday 29th July to Friday 2nd August. For a full schedule of dates and venues please visit our website www.rockcorrygaa.ie for more details. The numbers drawn on Monday 10th June were 9, 14, 18 and 27. There was no jackpot winner of €3,400.00. The following won €15 each :- Mairead McCullom, Aghabog, Shona Fitzpatrick, c/o. Ciaran Fitzpatrick, Aaron Clerkin, Rockcorry, Kyle Rooney, Rockcorry, Oliver & Mary-Alice McMahon, Aghabog, Joey & Phyllis, Rockcorry, John Paul Finnegan, Drumlaney, Bridie & Nadine Sheridan, Rockcorry. Next week the jackpot will be €3,500.00 and the draw will take place in Thompson’s, Newbliss. Thank you for supporting our Top 4 lotto draw. On behalf of everyone from the Rockcorry GAA club I would like to congratulate the Monaghan senior footballers and the backroom management team for a workmanlike performance and a good win against Antrim last Sunday in Casement Park, Belfast. Well done lads, keep up the good work. A Coaches workshop for under 6 & 8’s coaches will take place on Wednesday 19th June at 7:30pm in Cloghan to be delivered by Aoife Byrne (from Killanny) who has worked for Liverpool FC as a Community and Schools Coach. A Coaches workshop for under 10 & 12 coaches will take place on Wednesday 26th June at 7:30pm in Cloghan to be delivered by Monaghan Coaching Staff. On behalf of the club I would like to extend our best wishes and congratulations to Shane Calvert and Paula Hessin who got married last weekend. We wish you a lifetime of the greatest joy, love and happiness together. Congratulations to a wonderful couple.